The days of futzing with television remotes are slowly coming to a close as Siri may be joining the ranks of personal assistants to change your channel. Code in Apple’s iOS 7.1 software suggests the company is at least considering voice support for the set-top box. Spotted by 9to5 Mac, the code snippets for Assistant — the iOS name for Siri — clearly show Apple TV alongside the iPhone, iPod touch and iPad devices, all of which already support Siri. I wouldn’t be at all surprised if this does happen sooner rather than later. Microsoft’s(s msft) Kinect for Xbox already supports voice control; it works so well for me, I actually added a new Verizon(s vz) FiOS box to my house solely for the Xbox One. Siri hasn’t learned many new tricks of late either, so it’s about time Apple took advantage of the software. Since Siri arrived on the market, Google and Microsoft have quickly caught up with similar voice assistant services, first with Google(s goog) Now and more recently with Microsoft Cortana. And one of the newest features on Amazon’s(s amzn) Fire TV is a Siri-like voice search for content. In fact, I’m more surprised that Apple didn’t bring Siri to the Apple TV earlier. In late 2011, I suggested Apple had a huge opportunity to turn Siri into the invisible interface for our homes. That hasn’t happened yet, but adding Siri to the Apple TV would be a good start for the company’s billion dollar hobby. 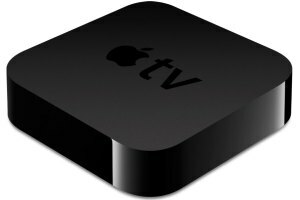 The addition of Siri to Apple TV would likely mean a new model of the small set-top box. Why? Currently, Apple TV hardware has no way to hear you, so a new edition with an integrated microphone — or a microphone in an Apple TV remote, similar to the Fire TV — would be needed. It’s possible that Apple would use an iOS device on the same network to add ears to Siri, but I think a new Apple TV box is the more likely scenario.